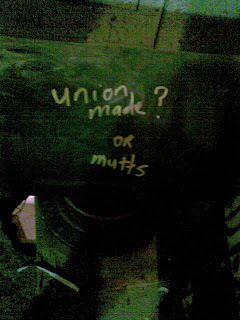 :: Construction Graffiti ::: Union made? Or Mutts! This HVAC header appeared on the site about six months ago without the union made certification sticker on it. It hasn't moved to this day. This is one of my favourite examples of how Construction Graffiti inspires camaraderie.